The alert status of Mount Agung has been downgraded. The volcano is still active and a reduced exclusion zone remains in force. As the status of Mount Agung has been downgraded from Level 4 to Level 3, the following advice does not apply to any policy purchased after 11:00 AEST on 6 November 2017. We will continue to monitor the status of Mount Agung and if the alert level increases again, we will update this advice. Flights between Australia and Bali are currently operating as normal. Mount Agung is a volcano located approximately 72 km from Kuta. There has been an increase in volcanic activity at Mount Agung over the past few weeks. Whilst Mount Agung has not yet erupted, the Indonesian authorities have raised its alert level for the second time in one week. The current advice level is “high alert”. The Indonesia Disaster Mitigation Agency has doubled the exclusion zone around the volcano and advised residents that they should prepare to evacuate. Seismic activity has been increasing and while no ash has yet been detected, smoke has been seen rising from the crater. At present, all scheduled flights are operating as normal. No flights have yet been cancelled but if Mount Agung erupts, this could affect flight services to/from Bali. We recommend all travellers planning to travel to Bali in the immediate term monitor media and airline advices. 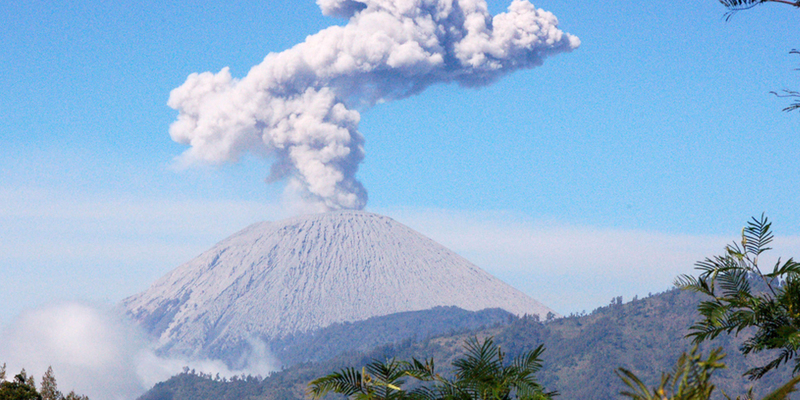 Whilst this advice details a preliminary assessment of potential policy response, it is anticipated that no cover will be afforded for any claim arising from an eruption of Mount Agung under policies purchased on or after 10.01am on 17 September 2017 or trips booked under an Annual Multi Trip policy on or after 10.01am AEST on 17 September 2017.